It's been a week since Bake Off left our screens and Candice was crowned 'Queen Baker’. I'm already missing my little slice of cake action. Obviously, I am a fan of desserts and puddings, but sadly I am no master chef or star baker! You only have to check out one of my Mum’s ranting Facebook statuses to find, I can just about use the tin opener and only recently learnt how to warm up a tin of beans! So making myself a nice warm cake to eat after a day of uni, has about 1% chance of happening....well that was the case anyway until I discovered the "Pud In A Mug”. 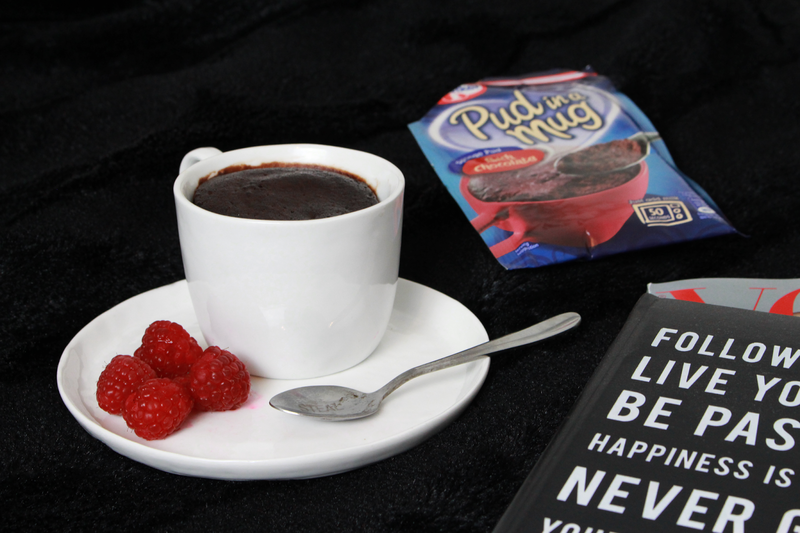 Pud in a Mugs, if you haven't spotted them already are a little sachet of magic! They are basically: a packet with some powder inside that you add a little warm milk too, pop inside your microwave and ding! You have a cake!!! Really, you do! A nice warm, freshly made yummy pudding. Made in around a minute. They are brill for people like me who have zero baking skills but love cake! Pud In A Mug sent me some of the range to try out, I got a Rich Chocolate, Chocolate Chip, and Lemon flavoured sponge pudding sachet, and a Dark Chocolate and Milk Chocolate velvety dessert - a little something for everyone and so I gave them a go to see if even a novice like me could whip one of these bad boys up. So first for me it didn't go well, and that was down to me not really reading the instructions, winging it with the measurement amounts and using a supersize mug followed by a mini cup! (Haha, told you I'm bad!) but once I'd got a grown up to help me! (No really, I got my Mum to show me where the measuring jug was) she also pointed out that the our microwave was a different power, so if your making some at home make sure you adjust for this too. Anyway, once I was readily prepared it was honestly quite simple; For my first try, I made a Dark Chocolate Velvety Dessert, I warmed some milk, added the mixture and microwaved. I kept a watch out, stopping and starting to make sure I didn't let it spill over. And voila....I had a finished warm pudding. 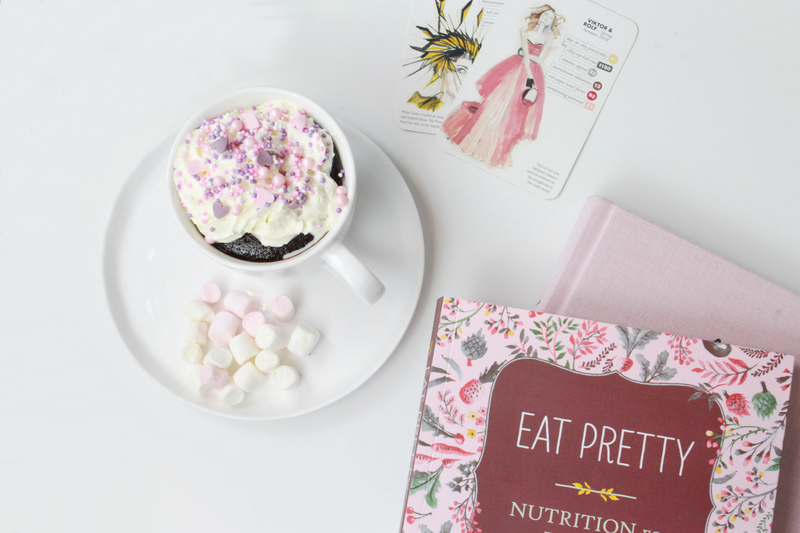 I used a snazzy looking cup and saucer and decorated with some raspberries. It was so simple to make, I will definitely be buying these again for a quick and easy cake fix. 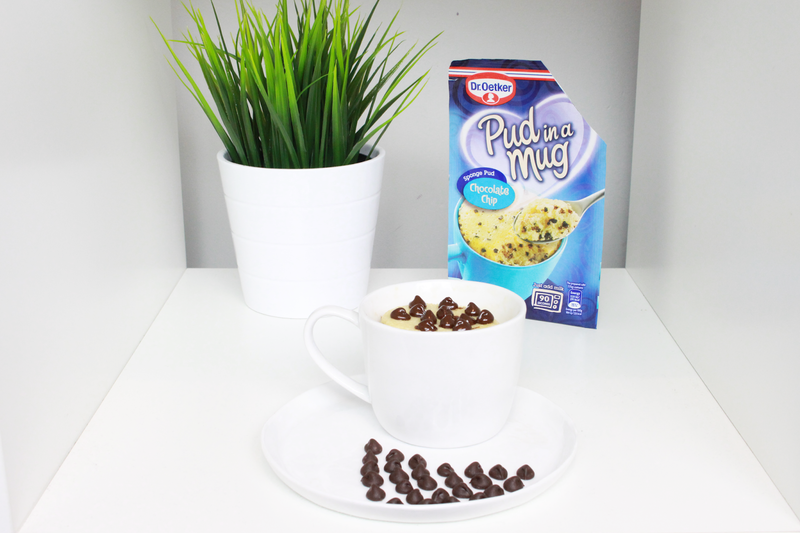 It would be great to see your Pud in a Mug’s too, and see your ideas for toppings and decoration, so if you make one make sure you #pudinamug and tag me in it! Or follow @pudinamug on Instagram for more fun decorating ideas. You can find them in Asda, Sainsbury’s, Morrisons, Tesco and Co-op for just 79p!